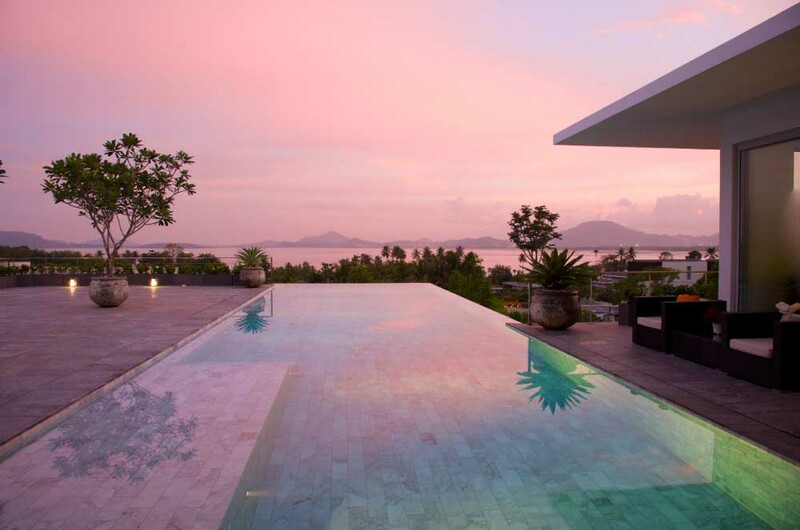 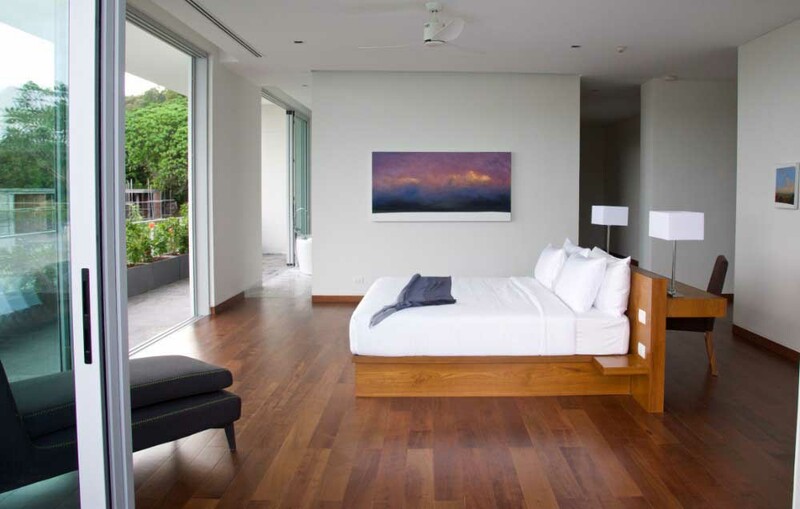 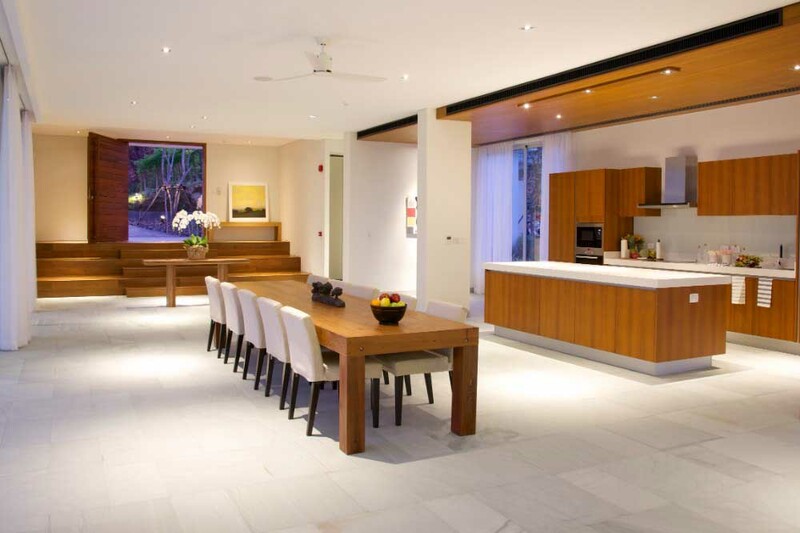 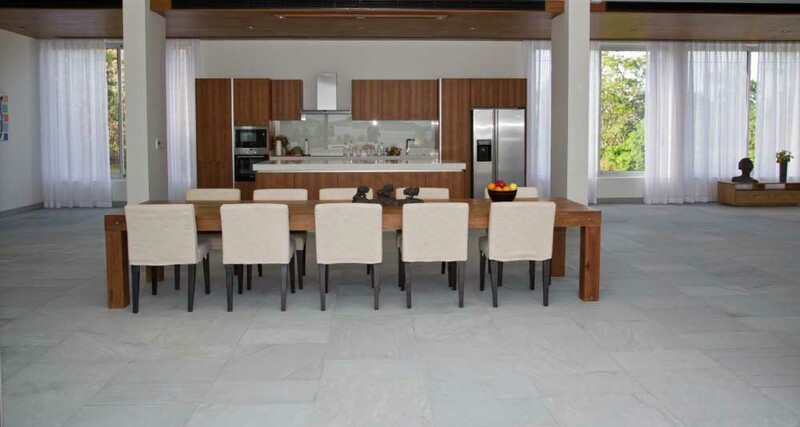 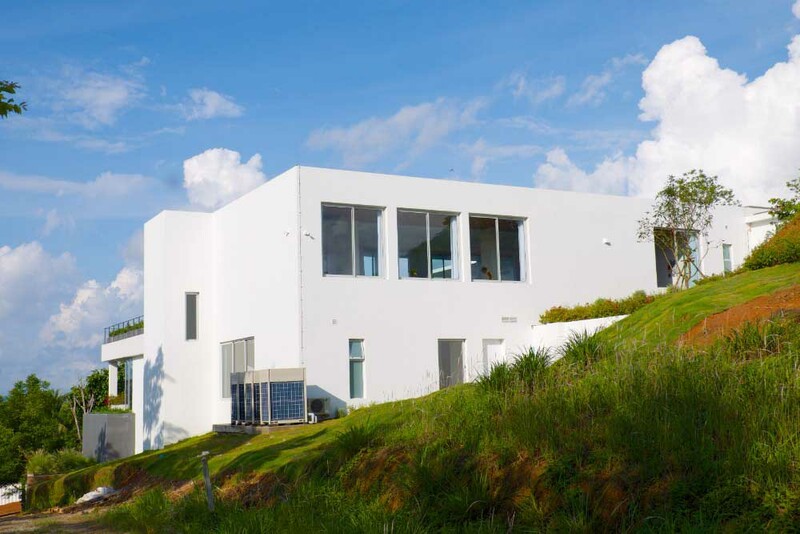 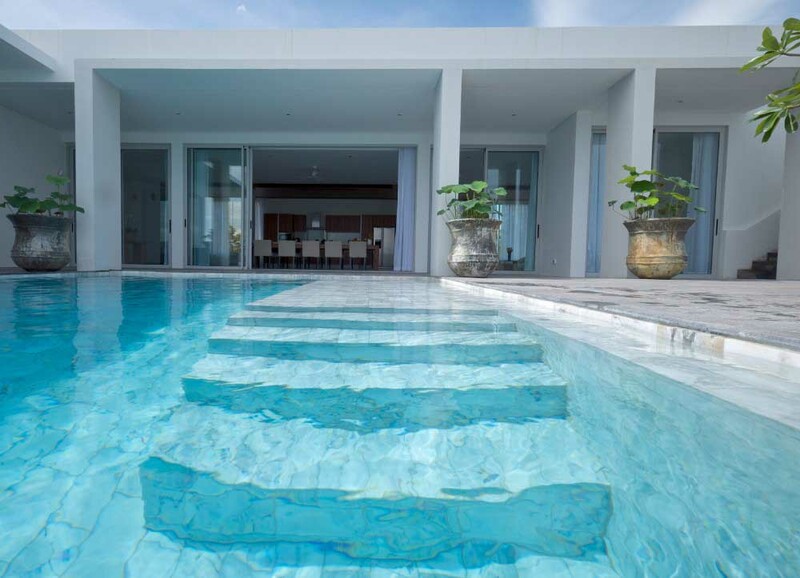 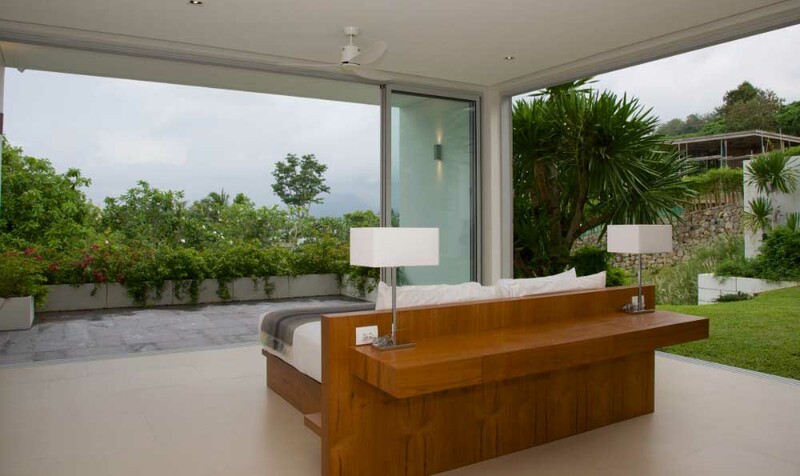 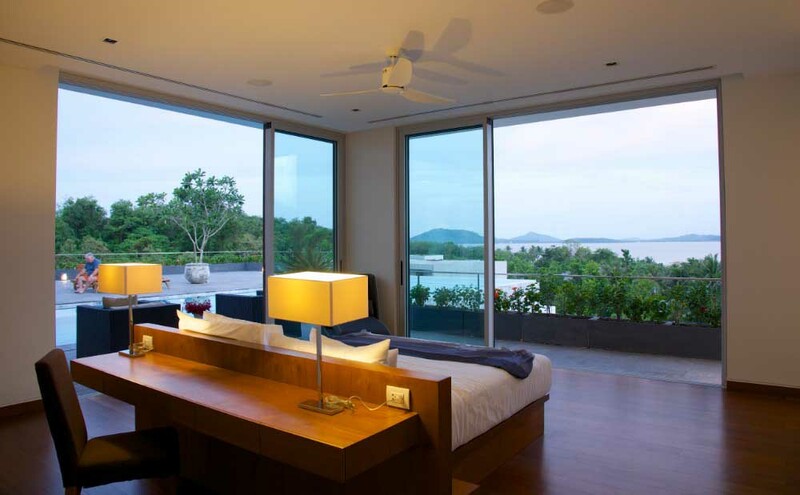 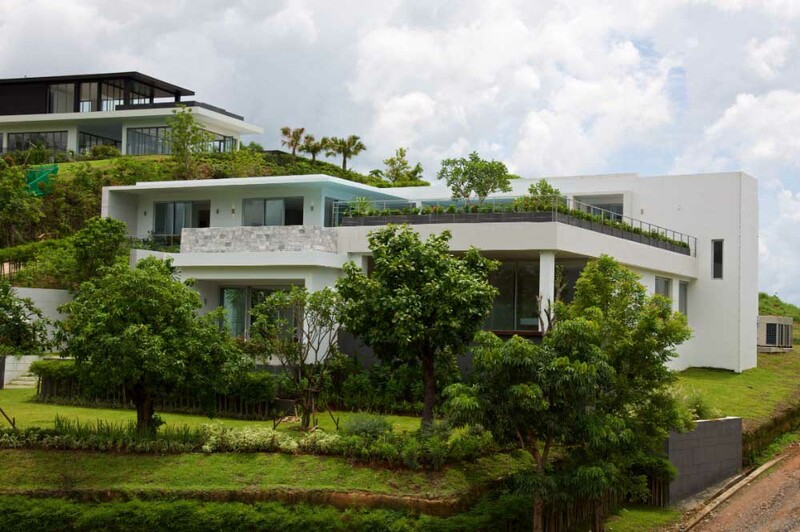 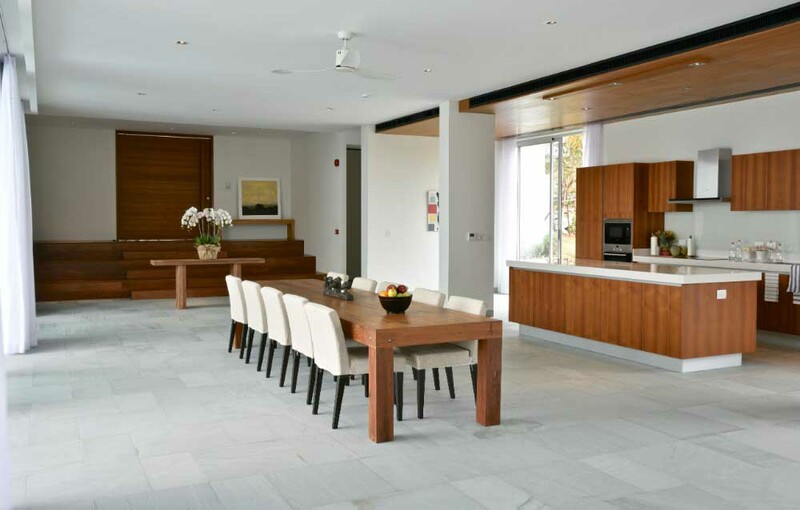 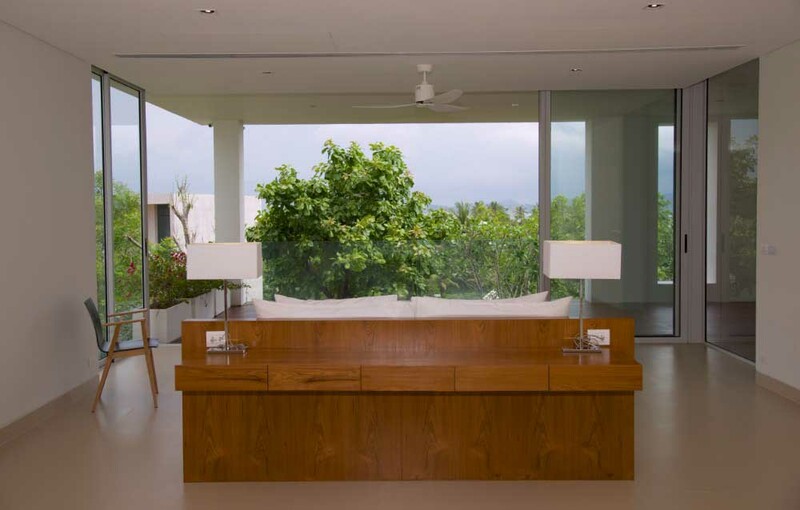 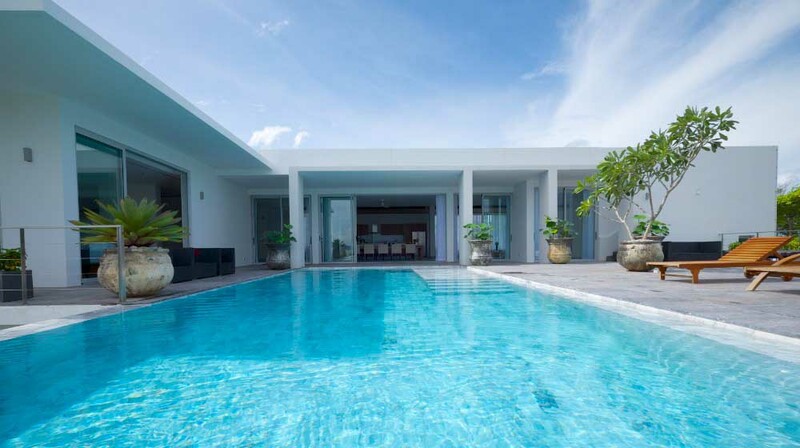 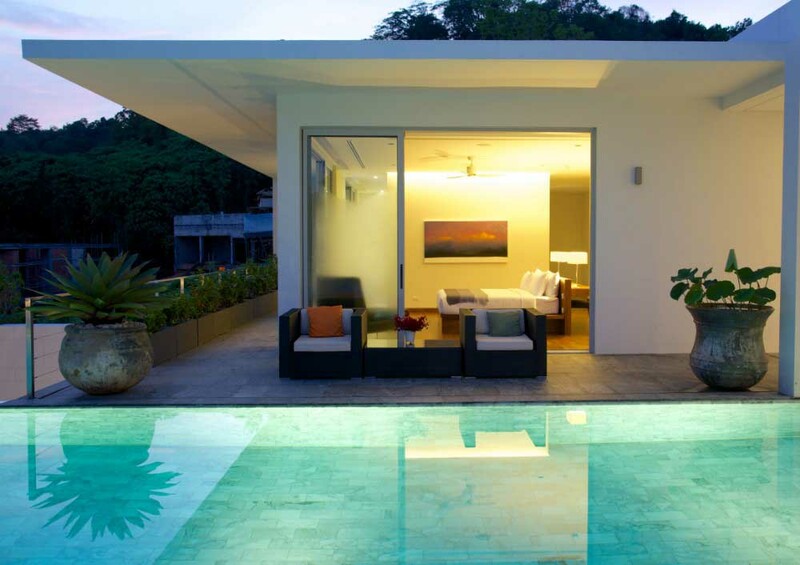 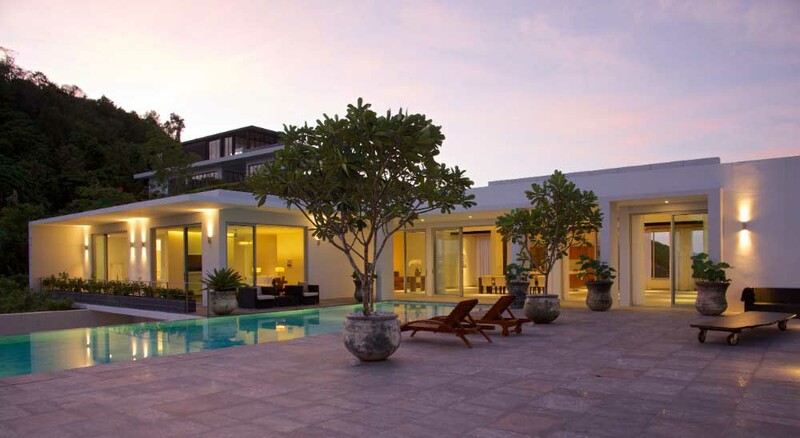 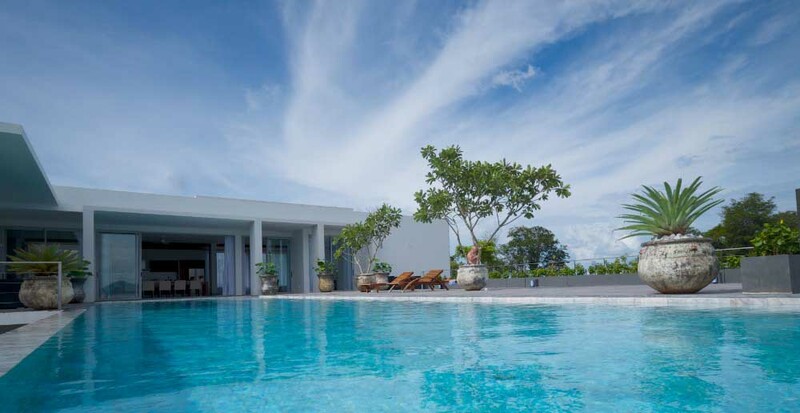 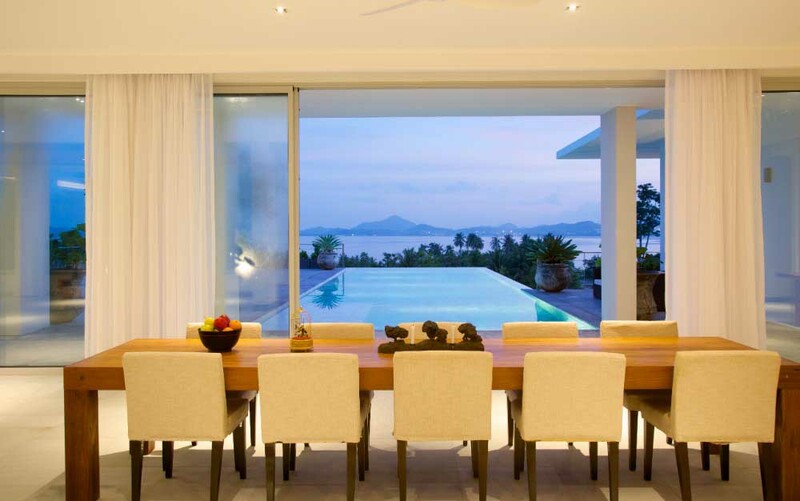 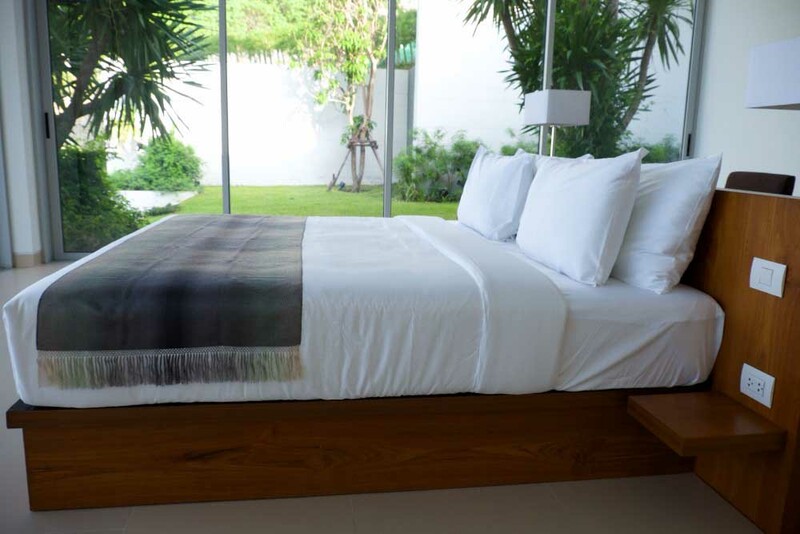 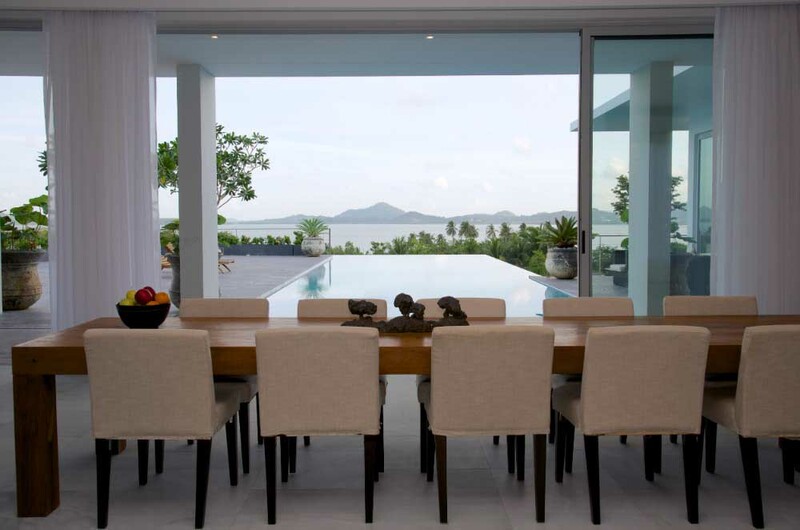 This new modern villa is set in a private estate in Cape Yamu on the East coast of Phuket island. 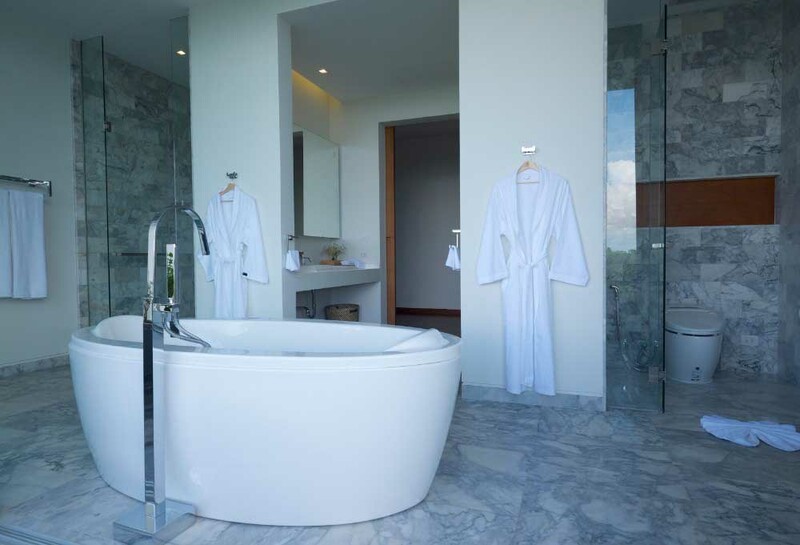 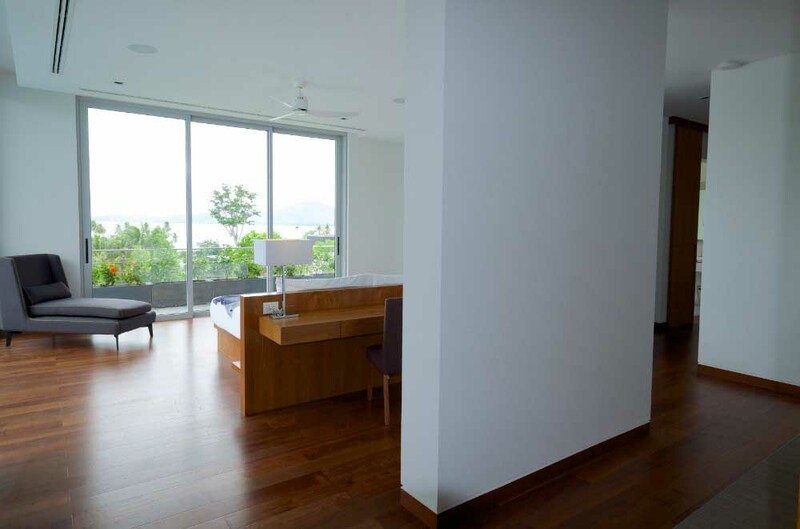 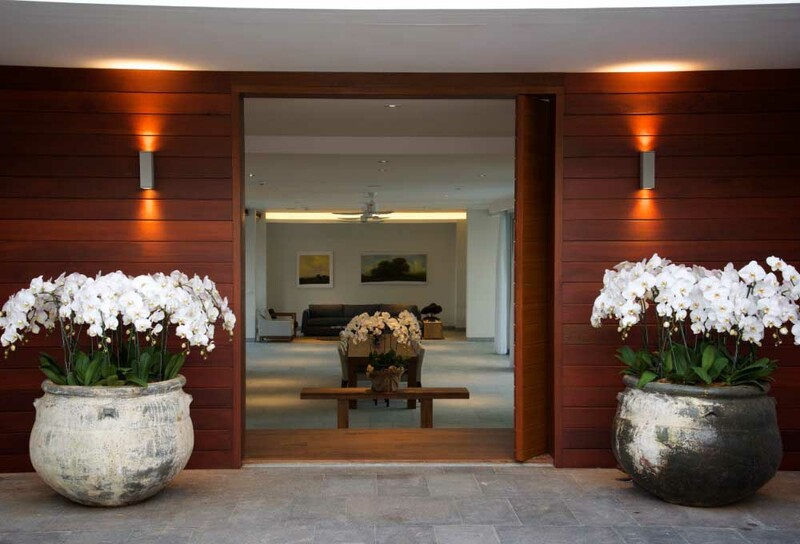 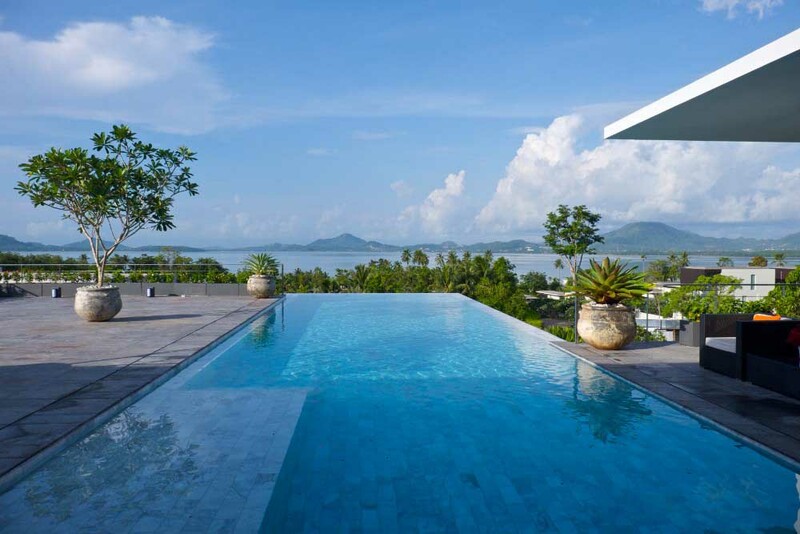 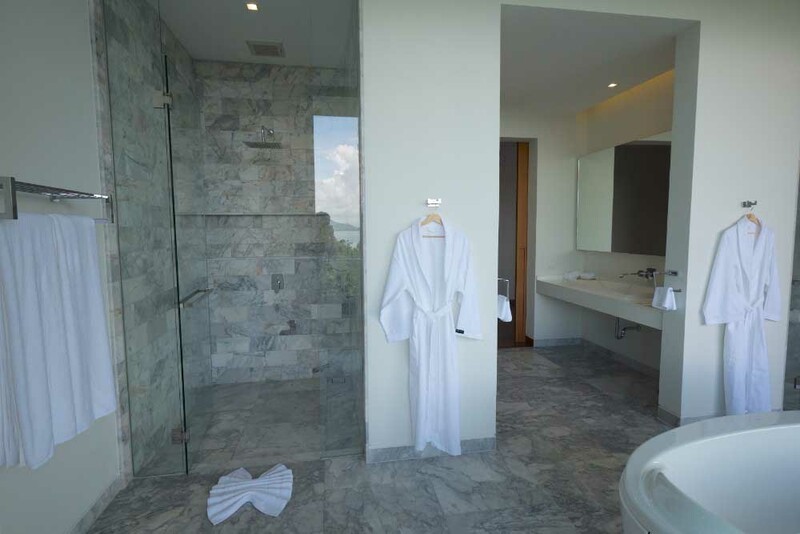 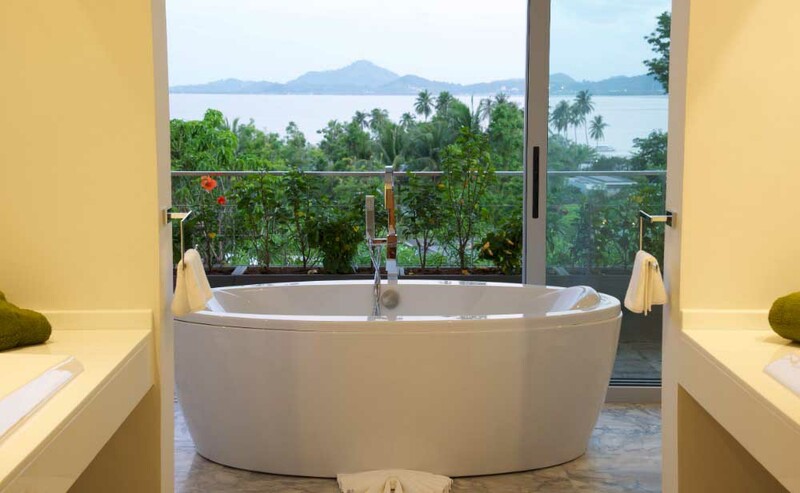 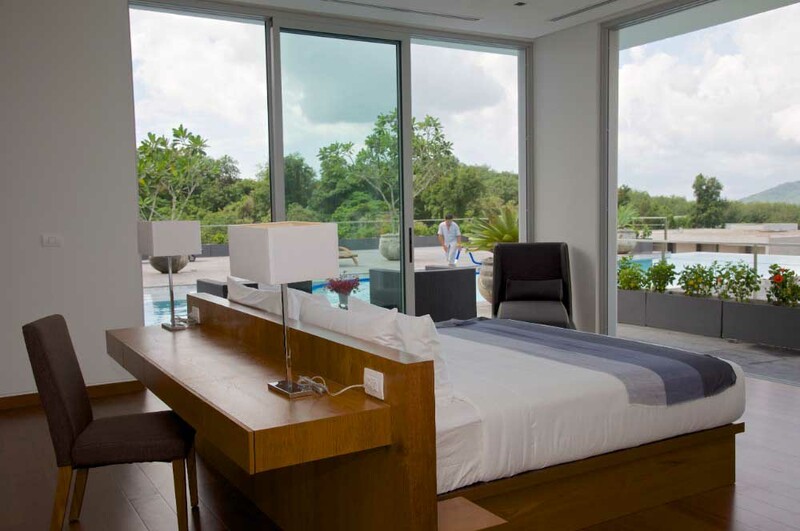 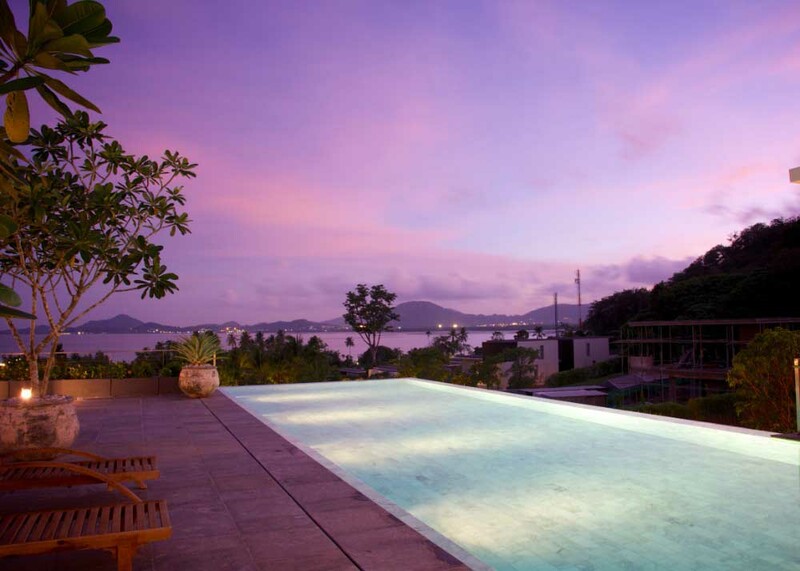 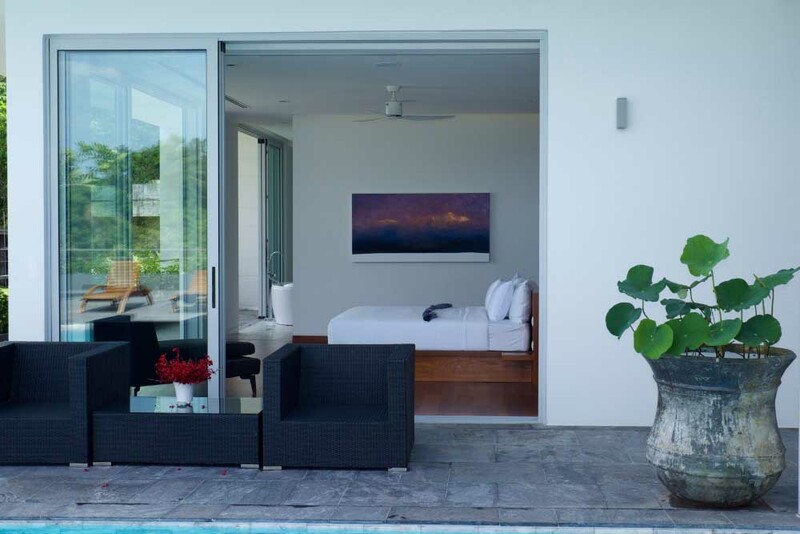 The luxury villa offers panoramic sea and bay views and good access to schools, marinas, shopping and airport on Phuket. 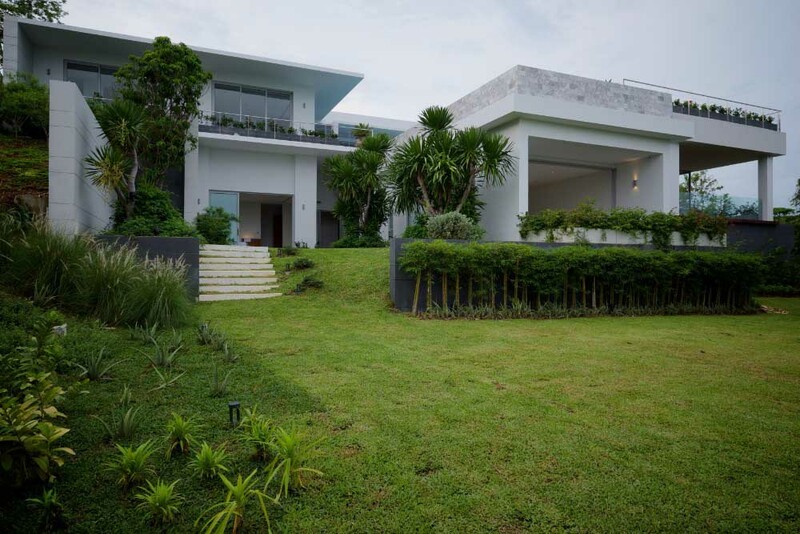 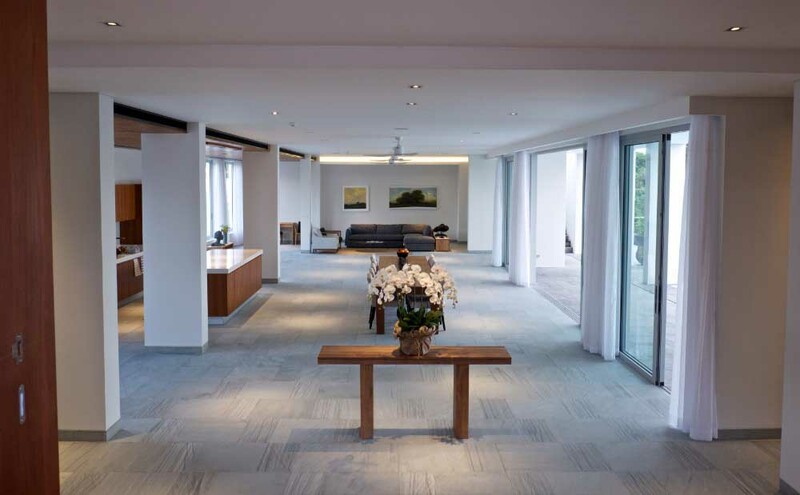 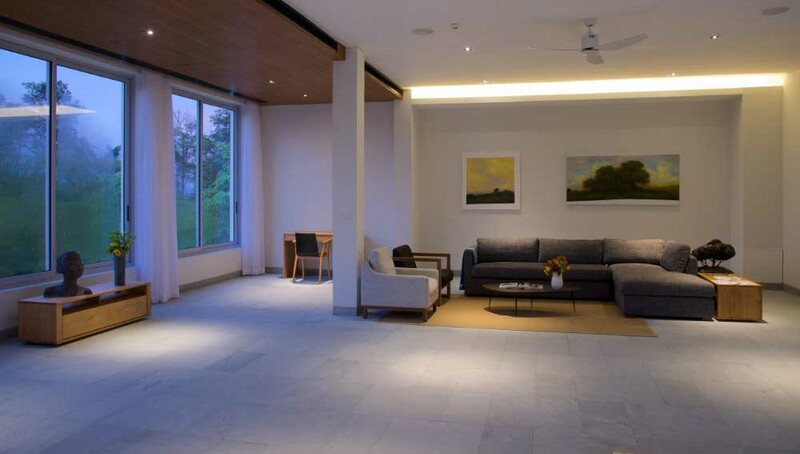 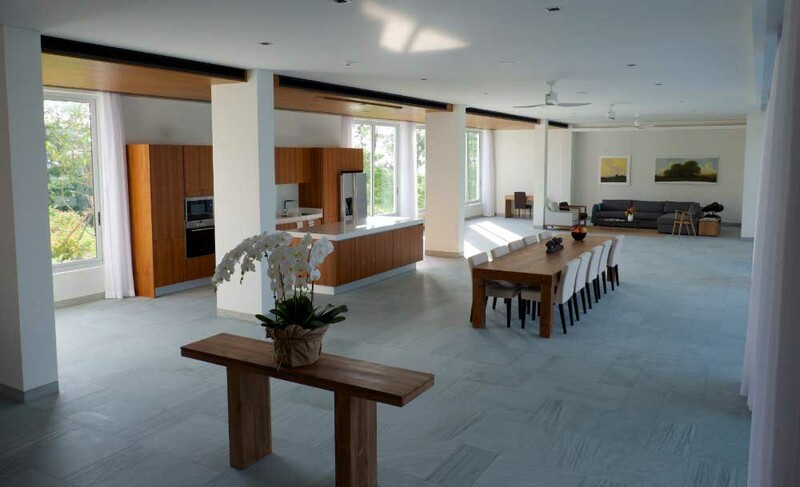 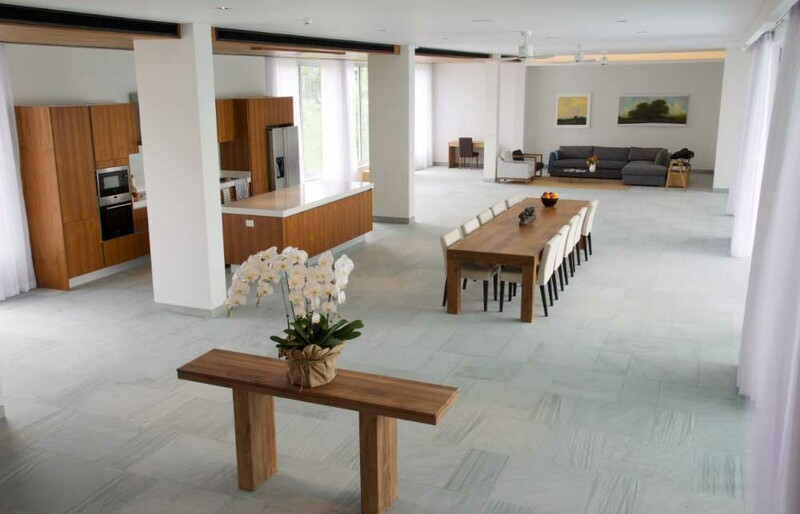 The property is set on 1,260 sqm of gross floor area on over 2,000 sqm of land. 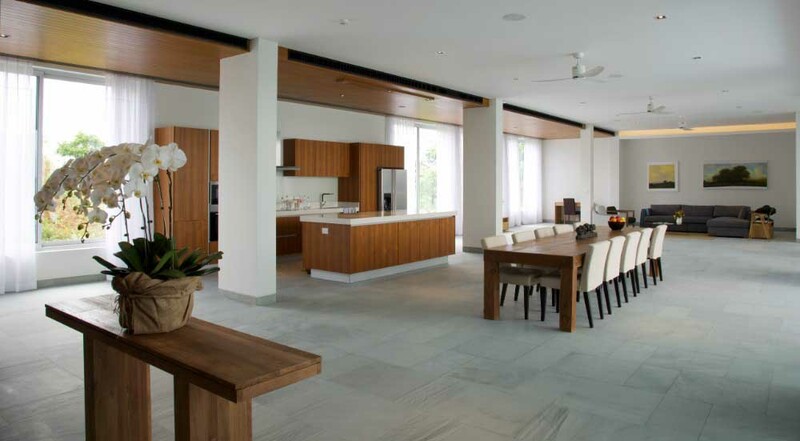 It features modern minimalist design with all in one living, dining and kitchen area and over 3 meters ceiling heights throughout. 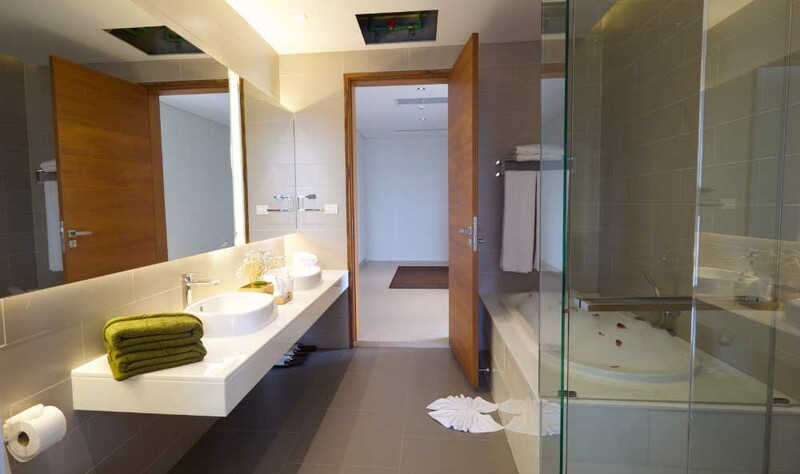 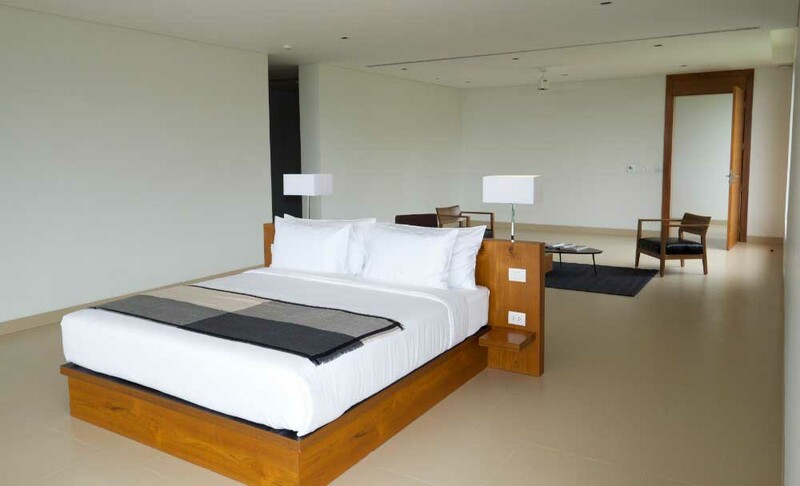 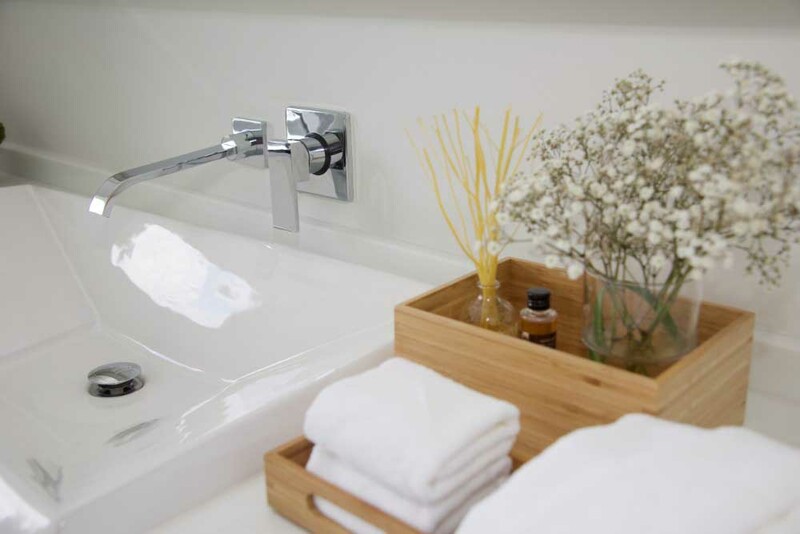 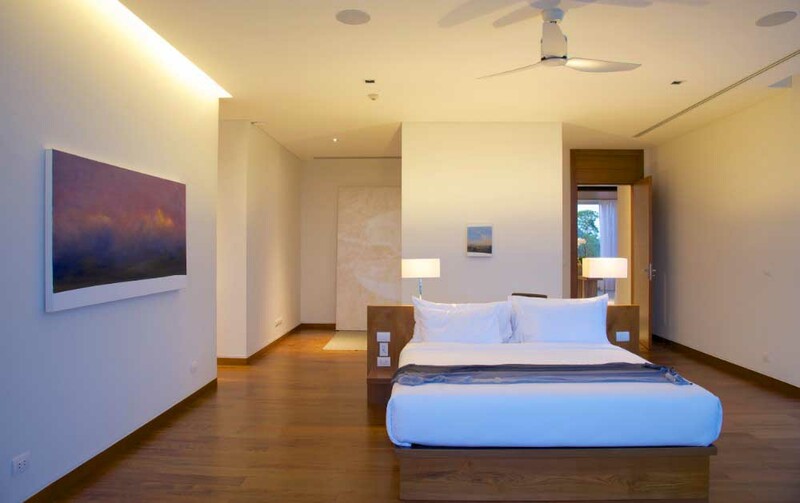 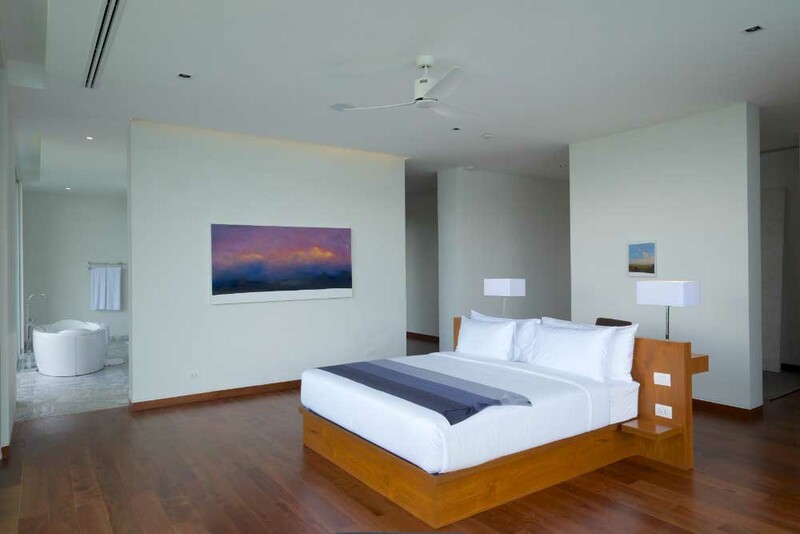 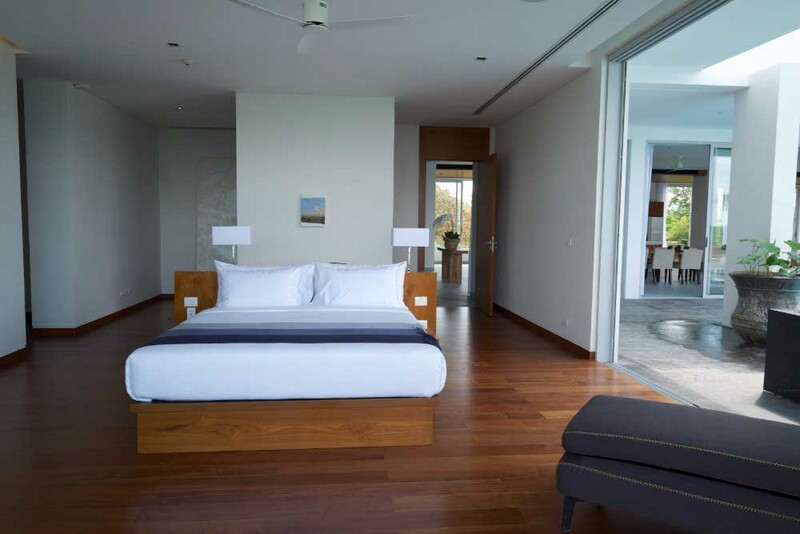 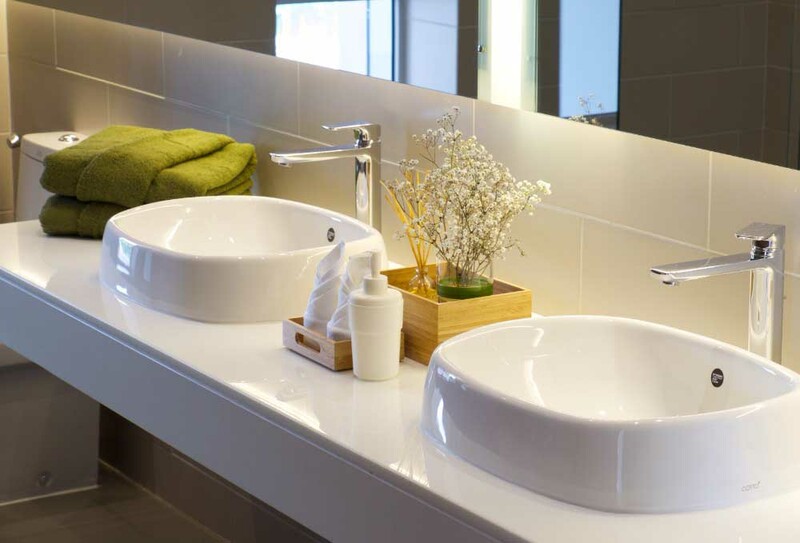 The villa features 4 exceptionally large ensuite bedrooms, a 5th room can be an additional bedroom or home theatre. 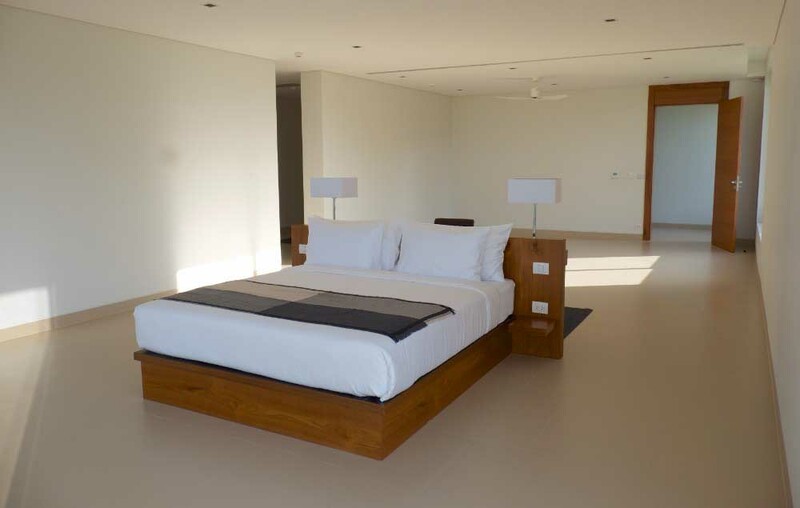 The huge roof terrace area is ready for further development to include additional master bedroom suites or a lounge. 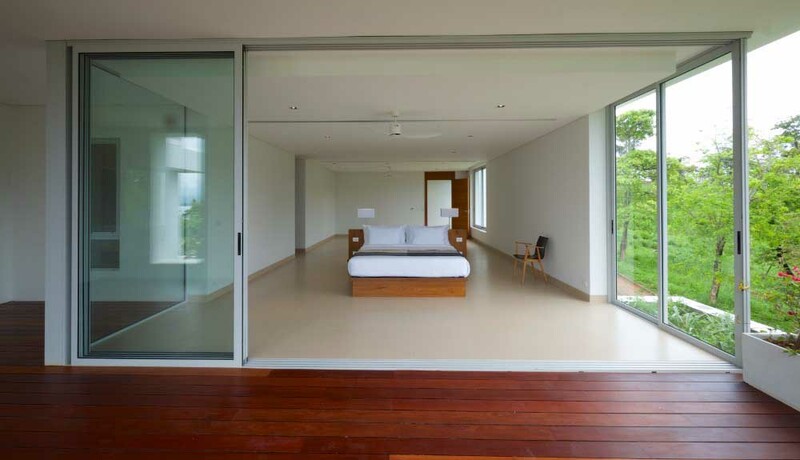 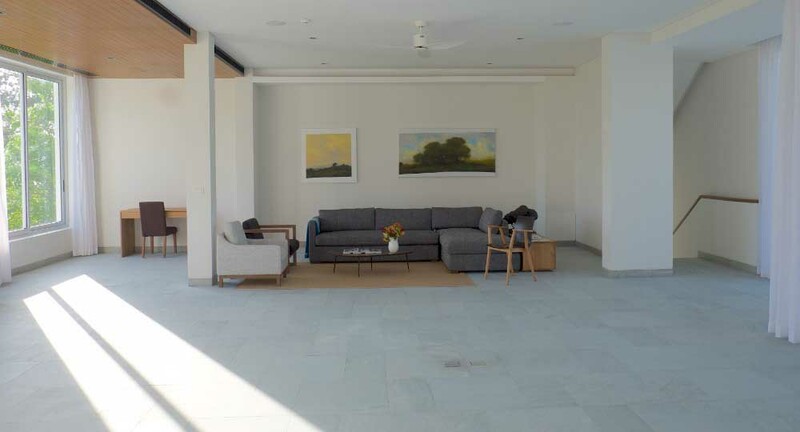 There are ample staff quarters which are so spacious that they could be converted into other guest bedrooms if required.The possibilities are endless, and the estate architects are available to discuss a buyers’ requirements.